Have you heard about Infobar? 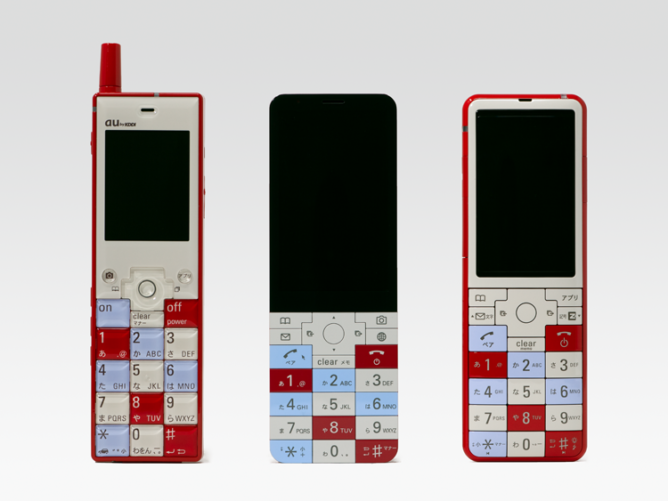 The famous Japanese feature phone? If you haven’t, it’s a gorgeous looking piece of tech with some nifty features. This year, in a few days’ time, the company will be celebrating it’s 15th Anniversary. 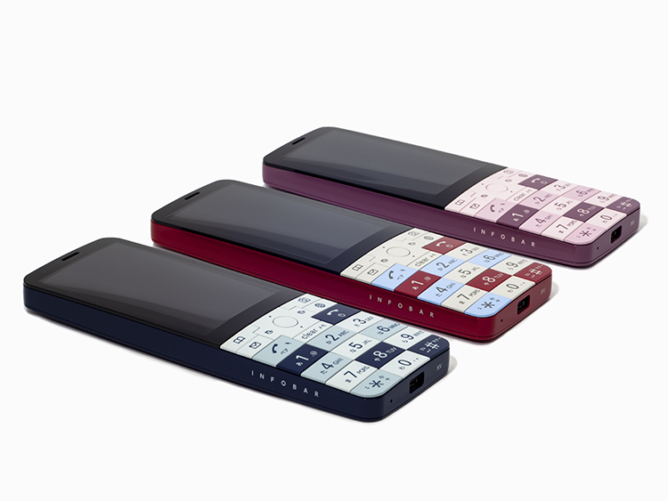 To mark the occasion, KDDI, a Japanese Telecom, is releasing a new edition of this cellphone. It’ll be the third one in the lineup. It’s titled INFOBAR XV. However, this is not the entire news. What I have instored, will fascinate you! Okay, I’m gonna let the cat out of the bag! The INFOBAR XV will be able to run Android Apps. But the capacity is pretty slim with the support for messaging app LINE. You can use three popular Japanese operators’ services with “+message.” But this won’t facilitate you by letting you download apps from Google Playstore. This feature phone will be able to support some of the apps that people use on android phones. As you can see, these apps are still limited in number. To be honest, people buy this phone for the stunning look and heaps of positives that it offers within a specific, very low price. To offer compatibility for limited number of Android APK files is a bonus! INFOBAR XV is basically a follow-up after INFOBAR 2 that was designed in 2007. At that time, it was part of the AU Design Project from KDDI. The newer version comes with added perks and benefits for users. For example, you’ll have a WVGA 3.1-inch display to contend with. Users will have the black bezel. But the entire phone has no frames. You have the keys in a “Classical” look. They are colorful as well. The overall dimension of this beauty is 48mm by 138mm by 14mm. Users can boast an 8MP camera with the product. 1500mAh battery will supply it with decent amount of run time. Do you know people of Japan will get to enjoy an SDHC memory expansion of up to 32 GB as well? Looks like this Pseudo-android phone will function as a Thumb Drive if anyone uses it right. Hold on, I’m not done yet! This thing has a “Virtual Call Assistant” exactly like that of Siri or Google Voice Assistant that iPhone or Android users take advantage of. Also, this comes with a desktop holder. It turns the feature phone into a makeshift clock when users are charging this thing. As far as the release date of this wonder, we only know that it’s coming out in October, this year. A definite date is still unknown. 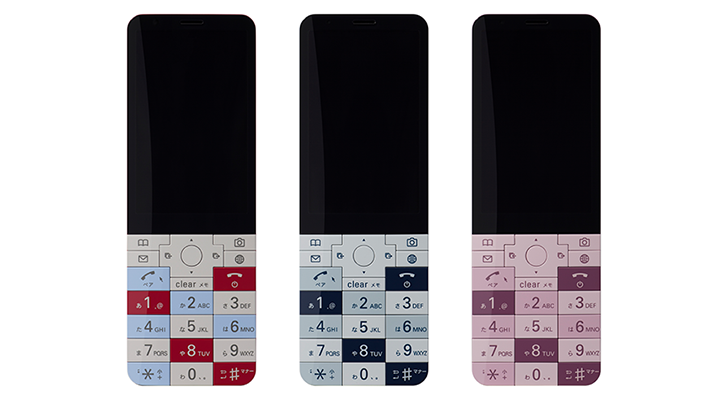 However, we do know that this phone will be offered in three different colors. One is Nasukon (Egg plant color), another is Cherry Berry, and the last one is Nishikigoi. Feature phones are somewhat old for some places. In others, it’s rather extinct. But Google is still trying. It recently invested in KaiOS to bring some kind of “Android” feeling to the feature phones. Think about Nokia 8800 4G. This type of phone would surely present an opportunity to connect between the phones of yesterday and the android wonders of today. Japan’s surely having a better part of the deal! Androidista will keep you updated about potential follow-up events. Meanwhile, here’s a sneak peak into the phone.